Value Driven Low Cost New and Used Automobile and Truck Parts. 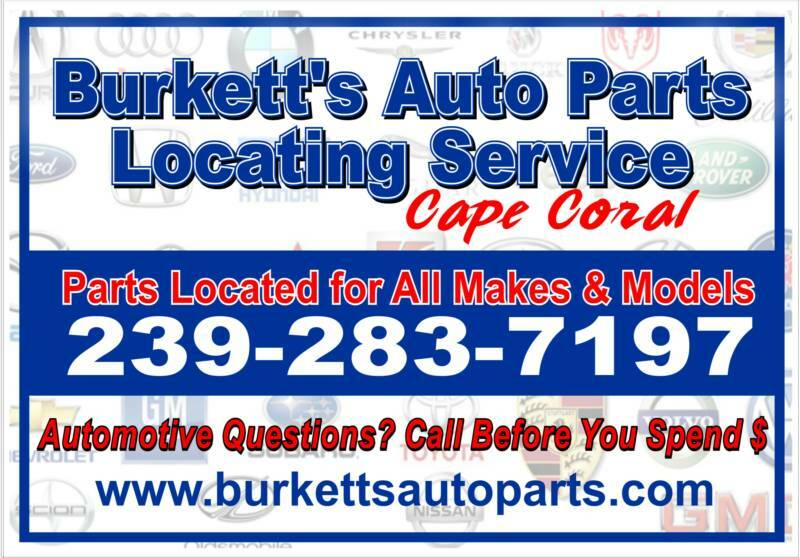 Burkett's Auto Parts Has Proudly Served Lee, Collier and Charlotte County Since 1957. We Strive to Ensure Our Customers the Highest Quality of New and Used Auto Parts at the Lowest Possible Price. Parts Locating Service for ALL YOUR Automotive Needs. "IF WE CAN'T FIND IT ...IT CAN'T BE FOUND "